A Christopher Strom project, featured in the Star Tribune's "Everyday Solutions" column of the Homes Section, details how to turn your cold attic space into an inviting Office. 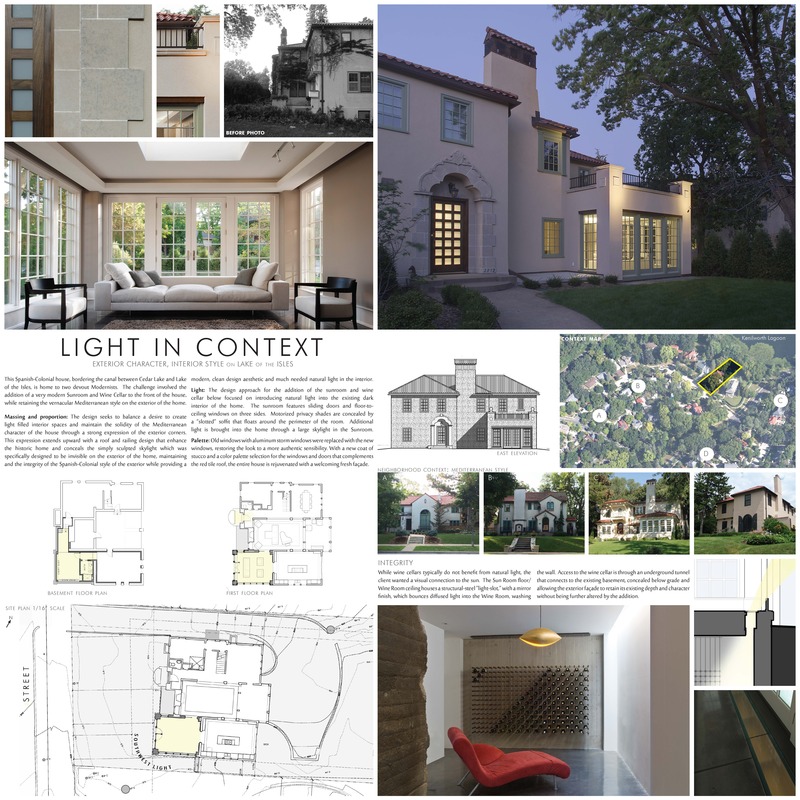 Solid design with clever touches help transform three levels of a historic home. "Christopher Strom was recognized in the “Best Contemporary” category in Marvin Architects Challenge 2017. The judges admired the simple addition that is reminiscent of the traditional red barn, yet uses strategic volume and glass to create a dramatic contemporary living space." "Christopher Strom, AIA... has demonstrated a singular commitment to the advancement of the profession of architecture through community and professional service that sets him apart from other designers." In a recent interview, Strom said his projects aren’t far from home. He designed a rec room with dormers overlooking Lake of the Isles, a Modernist wine cellar between Isles and Cedar Lake, and a 380-square-foot living space off the old trolley line near Lake Harriet. When friends or relatives come to visit from out of town, you could quickly make up a spare bedroom or (dare it be mentioned) the couch... or you could add an accessory dwelling unit (ADU) to your property, elevating the guest experience while also impacting the property value.